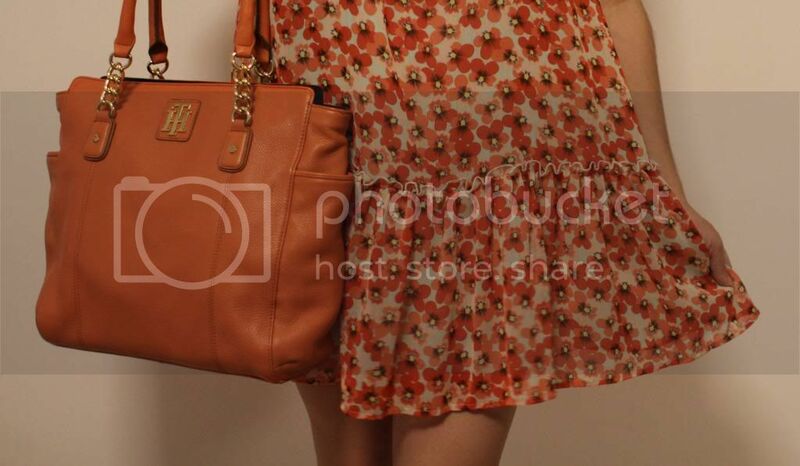 Even though one of the most coveted handbags is orange, and I love how it is styled by anyone who posses it. I find myself wondering how to style my new Tommy Hilfiger bag. For some reason, I wear my yellow bags with anything, just as if they were black and super easy to match. But orange... got me a little stuck! So now it was assigned a new spot next to the door, and hopefully I will be able to use it every day!. Do you own any orange bag? If so, how do you style it? I don't have one Ileana but you can find lots of inspirational looks, combine with green, black&white and gold accessories, burgundy maybe. You need to try, I did some combo to find new combinations last weekend. Great looking handbags like them all. I love orange! I think there are no rules to fashion nowadays we can now wear whatever color we want with anything which is great! orange is a color that I really like. But mostly in clothes, and not in accessories.I probably wouldn't bring an orange bag if I'm wearing a loud color too like yellow, red or even green. I'd feel much safer if I style it with neutrals like brown, grey, black and especially white. We love this color and your bag!! I hate orange but your bag is really amazing ! Such a pretty printed dress, that's one fabulous statement bag! I adore your orange Tommy bag! I love orange and I love to mix it with other colors! My favorite combination is wearing orange with purple but brown alwasys works too! Nice color, i love this bag !!! orange isn't really my color but these are cute! Beautiful dress and bag. Sadly I don't have an orange bag yet. I almost bought one last week but the bag wasn't handy. So beautiful! I love orange!! Νo i dont have any orange handbag. I thing it would look perfect with denim or white clothes. Oh really cute bag dear, thanks for your lovely post. Now I´m following you in Bloglovin´and GFC I hope your follow me back in both. what a cute bag, such a fall's color. You will be able to use a lot in fall or even the winter though! Que lindo y que diferente en el Hard Rock! A mi el estilo rockero pop me gusta mucho! El anaranjado es un color dificil, depende mucho de la tonalidad de la piel, creo que no tengo nada en este color porque siento que no me va, me gusta mucho en pinturas de u;as y tambien en accesorios! I love your orange style.